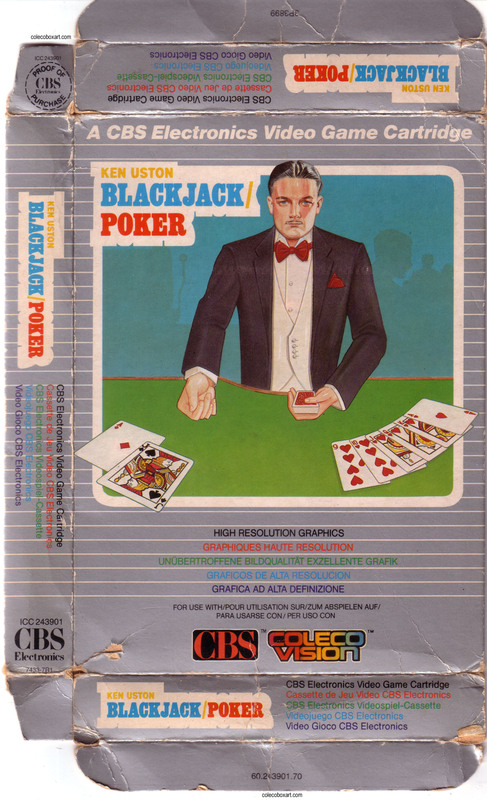 In POKER, play one-on-one Five-Card Stud. 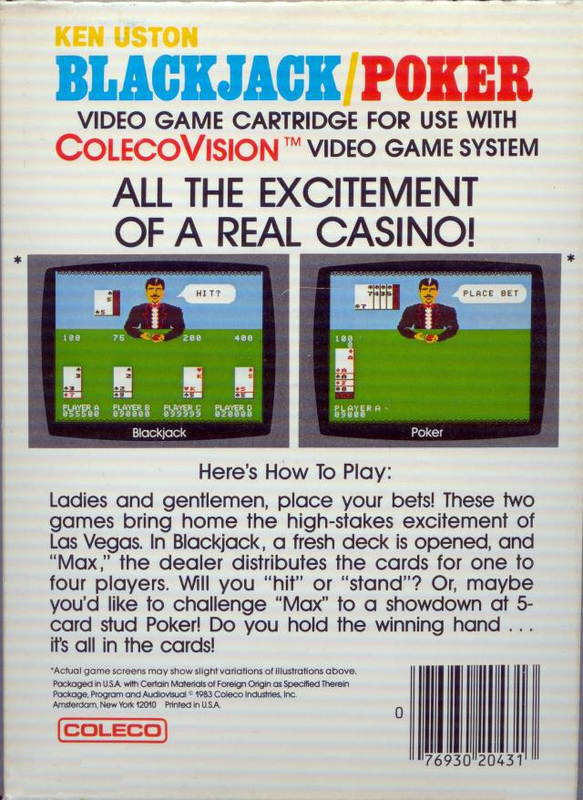 But don't let Max's poker facefool you. 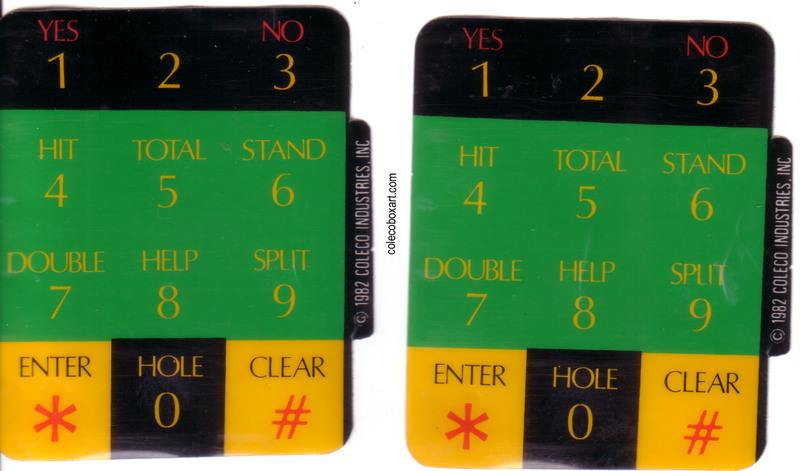 Who knows what's in the cards? 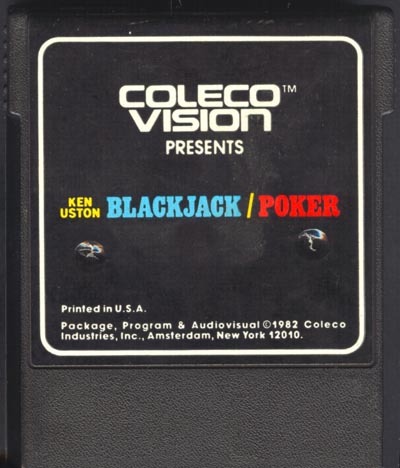 Ken Uston (January 12, 1935 – September 19, 1987) was a famous blackjack player, strategist, and author, credited with popularizing the concept of team play at blackjack. 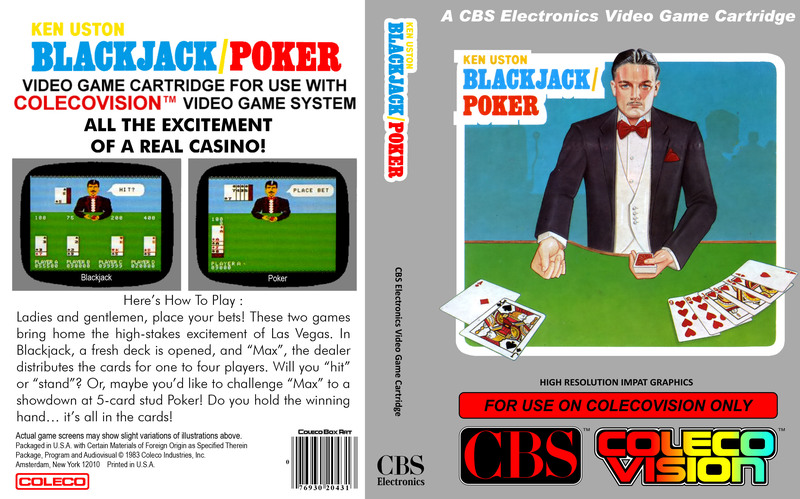 During the early to mid-1970s he gained widespread notoriety for perfecting techniques to do team card counting in numerous casinos worldwide, earning millions of dollars from the casinos, with some bets as high as $12,000 on a single hand. 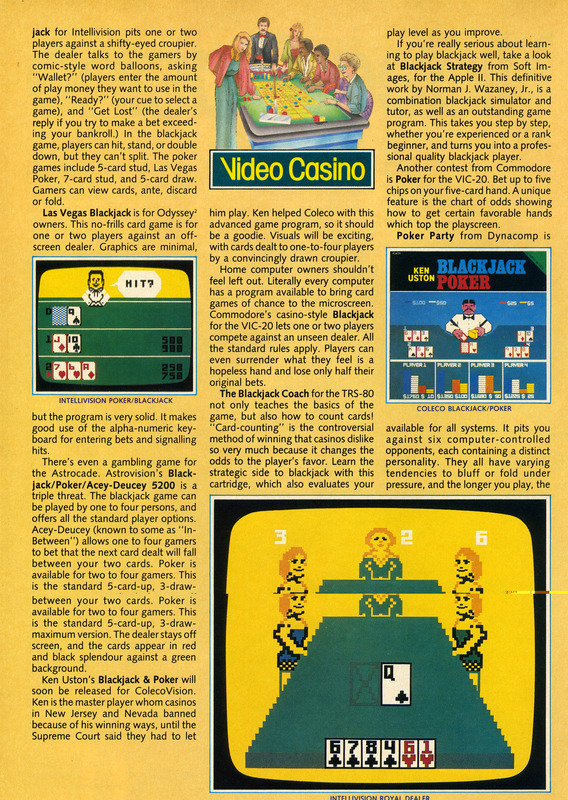 He then became famous for being banned from casinos around the world, and thus became a master of disguise as he would adopt various costumes in order to conceal his true identity and still be able to play. 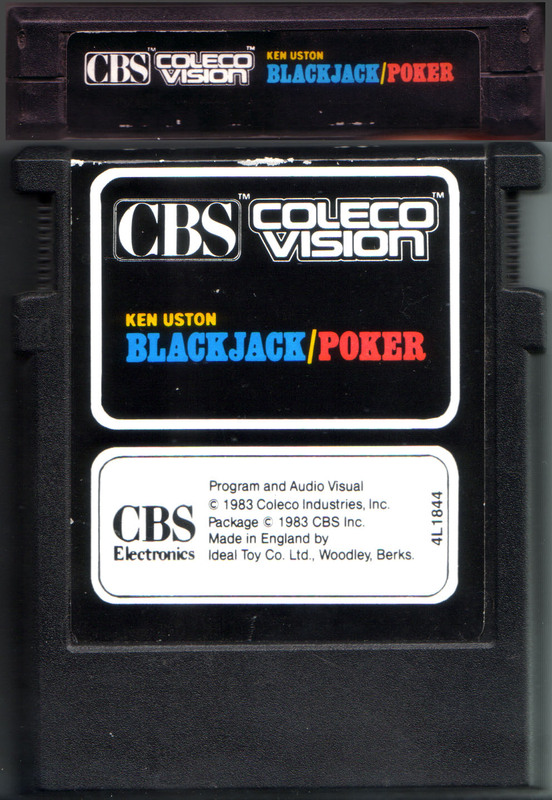 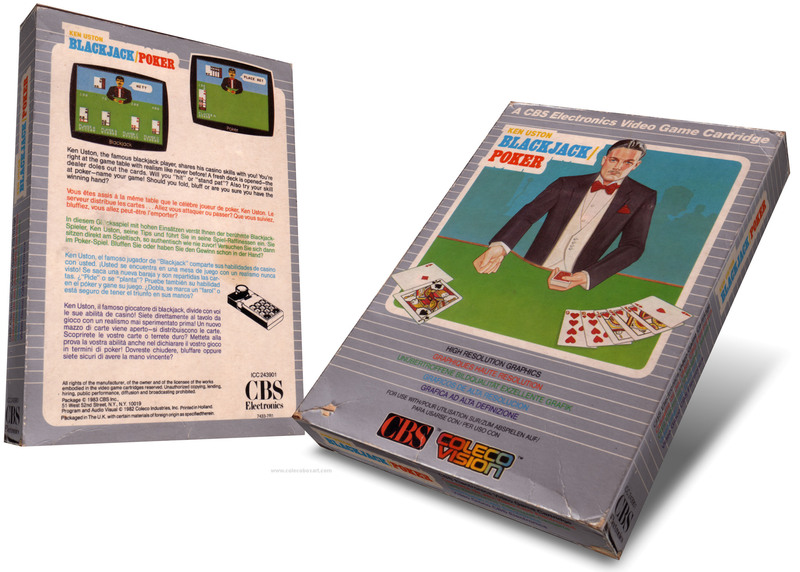 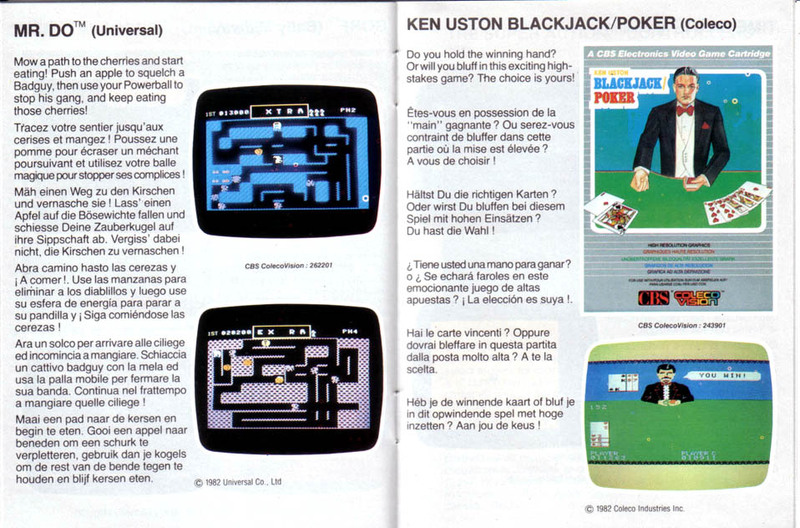 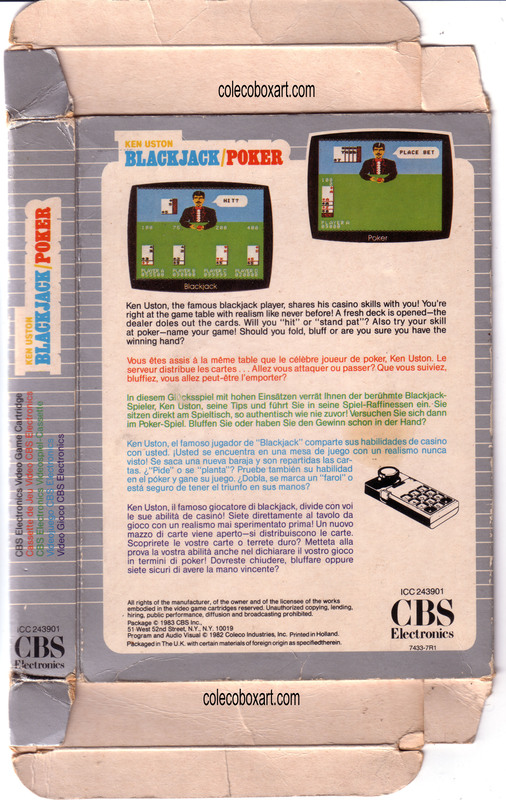 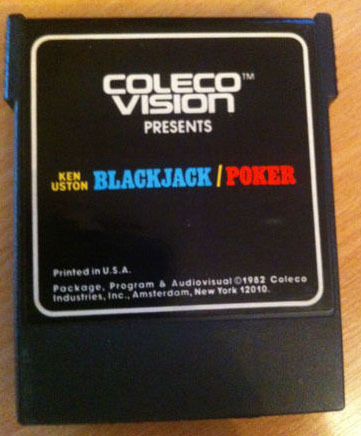 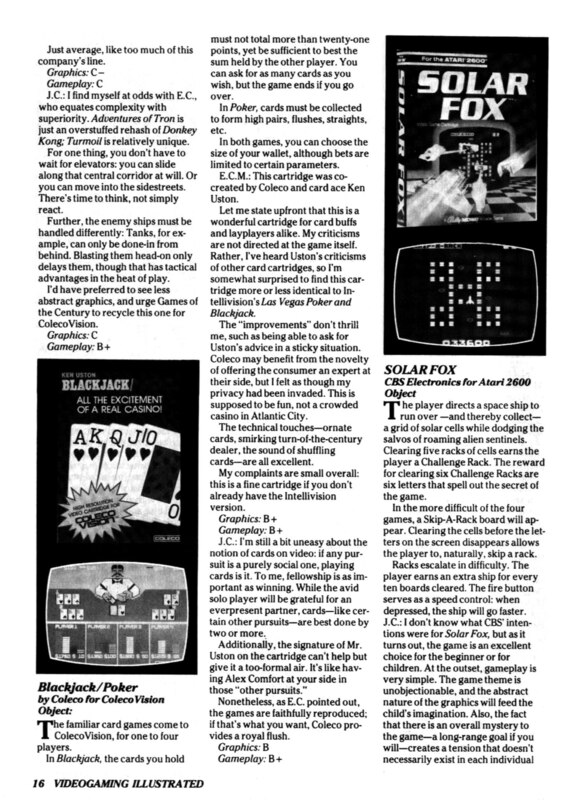 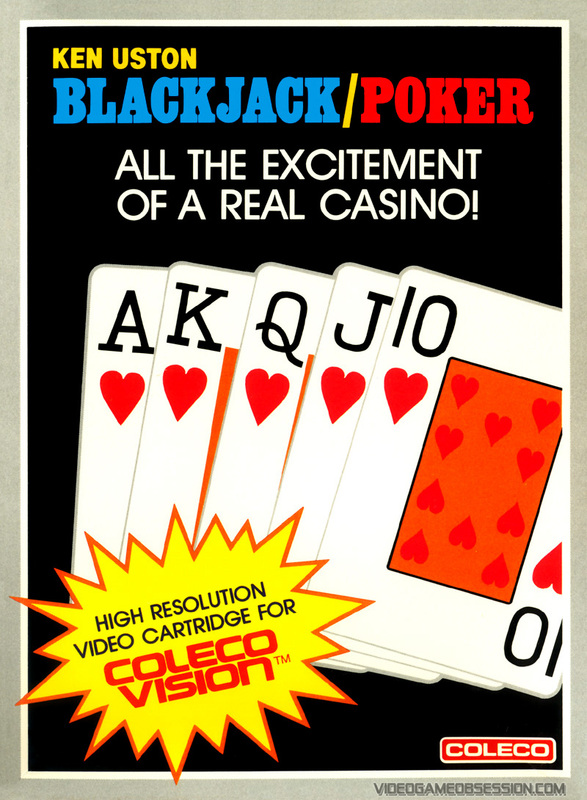 Ken Uston's Blackjack/Poker is one of the early games available for the ColecoVision.